What sort of weapons do the Eminians employ? In "A Taste of Armageddon," Kirk and company find that the Eminians are in a sort of "computer" war with the Vendikans. In the episode, Eminian weapons are displayed and used, but, unlike a Federation phaser, do not produce a visual stream of energy when fired. The energy, or whatever it uses, is invisible to the human eye, and quite likely also the Eminian eye. What sort of weapon is it? If nothing in canon speaks to this, non-canon sources are acceptable. Their weapons (described in the script as "sonic disruptors") appear to employ a highly focused 'beam' of sound. Not the answer you're looking for? Browse other questions tagged star-trek star-trek-tos weapon or ask your own question. Why don't there seem to be many/any weapons that utilize warp? 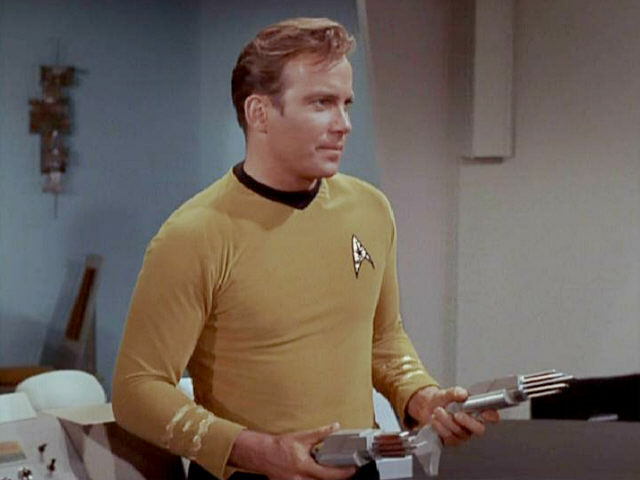 What is the maximum range of a type 2 phaser? What happened to all the Cortosis metal, armor and weapons? What franchises are these weapons from? What franchises are these weapons and objects from?